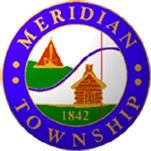 Meridian Township –– On Saturday, October 29, 2016, the Meridian Township Police Department will be hosting its annual Halloween Open House from 10 a.m. to 1 p.m. Visitors can tour the Police Department building at 5151 Marsh Road, visit with McGruff the Crime Dog, sit in a patrol car, see the police canine, and have an opportunity to win prizes. Officers will also be conducting car seat inspections during the open house. “Our annual Halloween Open House is a great way to emphasize the fun of Halloween for the youngsters as well as an opportunity for all community members to meet with our staff, tour the police building and just have a great time,” stated Captain Greg Frenger. Halloween treats of cider and donuts will be served. Youngsters will receive a candy bag and glow stick to use for their evening trick-or-treating fun. There is no charge for this event and costumes are encouraged!